ROCHESTER — Splitting her time and musical career between Nashville and the South Coast, Rochester native Rebecca Correia meets a lot of talented artists. On July 11, she’ll bring many of them to the stage for the annual Bennett Farm Concert Series. For those who haven’t been, this outdoor event isn’t a modest backyard concert with a few amps. Correia and her family put on a real show at their rural farm with a professional stage, lighting and sound. 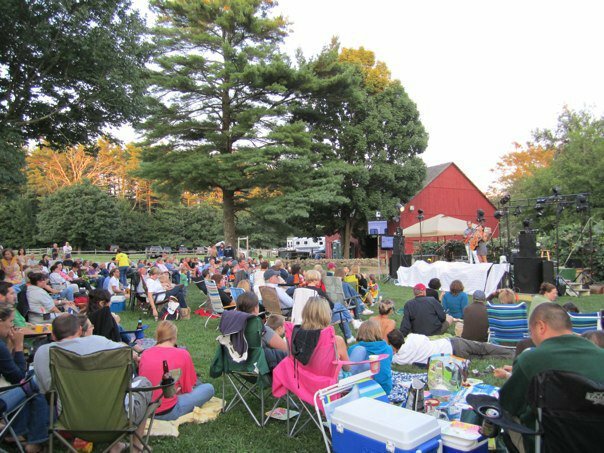 Music lovers often make a day out of the family event, bringing picnics, blankets and folding chairs to hang out on the grass. The artists, who range in style from Americana to rock, are a handpicked mix of up and coming musicians and past favorites. “I try to be as versatile as I can,” Correia said of the musicians she booked. She also gives little known artists that she loves an opportunity to gain a wider audience. The day starts off at 3 p.m. with Soundstreet, a group of talented teenage musicians from the South Coast who play classic rock. The Grey Season, a Boston-area band featuring tri-town musicians Ian Jones and Ben Burns, will return this year, making a rare appearance on their own turf after a busy touring schedule. This year, the series also welcomes Renee Armand. She and Correia met at a festival several years ago in Tennessee and hit it off. Only later did Correia learn of Armand’s musical background, including the fact that she once toured with John Denver. On July 11, Armand and California musician Paul Aleman will sing John Denver covers as well as their own original music. “I’m excited about her because my mom is a big John Denver fan. I think it’s going to be really special for her,” Correia said. She, too, will take the stage with singer, pianist and guitarist Matt Cusson, last seen at Bennett Farm in 2013. Cusso has played for R&B singer Brian McKnight and Broadway start Megan Hilty and also played on one of Correia’s albums. “We have a really good chemistry on stage with each other,” said Correia, who will close out the night. Above all, she wants to see concertgoers connect with the music, just as she does. Families are welcome at the concert series. Kids 12 and under get in for free. Advanced general admission is $30, $35 on the day of the show. A VIP ticket, which includes appetizers, is $40. For more information, visit www.facebook.com/rebecca.correia or email rebecca@rebeccacorreia.com.